STEP 1: Install the license version of BKF repair tool and launch the program, the following screen appears. STEP 2: - Next, click on Scan BKF tab on the upper left corner of the screen. The following screen pop up with multiple scanning options. - Quick Scan: For instant scanning of file with minimum corruption opt for quick scan technique. - Deep Scan: Severe corruption of BKF file is possible to overcome deep scanning option. 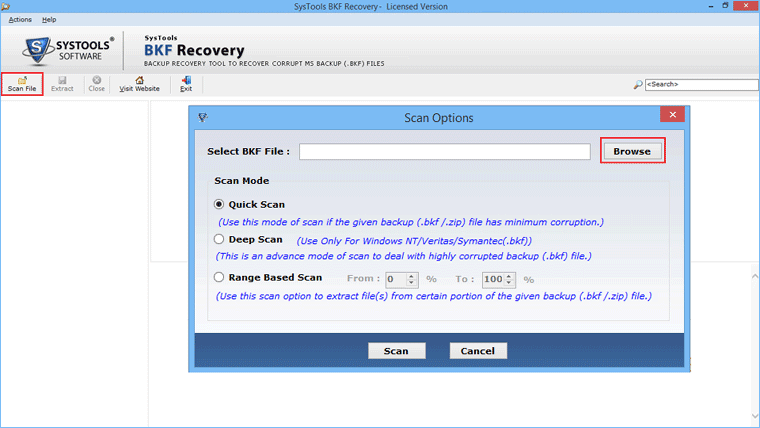 - Range Based scanning: Select the range for scanning the selective portion of BKF file. 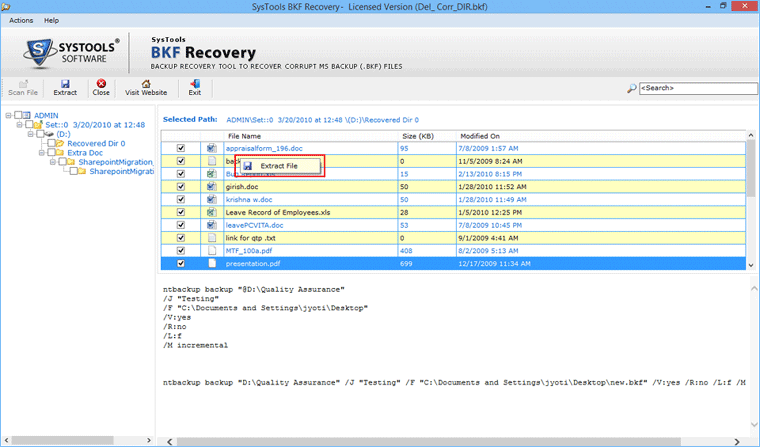 STEP 3: - Browse & select the .bkf file from its suitable location. Now Click on the Open button to proceed further. STEP 5: - As the scaning completes, you can see the BKF file in the tree like structure in the side pane. The screen appear as below. STEP 6: - Now you need to extract the BKF file. On the Menu bar above, click on tab “extract” and the following screen. STEP 7: - Now Select the Extract Mode from the available options : Choose Extract at Original Location or Extract at Selected Location. 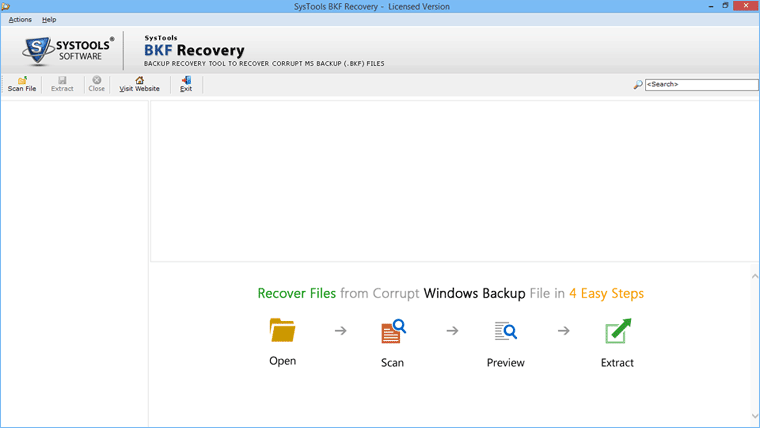 Click Extract to start the Extraction procedure of recovered BKF File. STEP 8: - After complete the extraction process, software displays a message window providing the location along with time stamp of the extracted file.